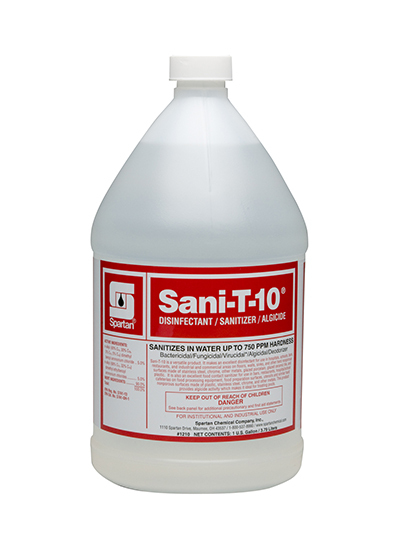 Sani-T-10 is a versatile product that makes an excellent disinfectant or sanitizer. Destroying both bacteria and the odor causing chemicals they produce, Sani-T-10 is ideal for use in a variety of areas including schools, food processing plants, restaurants, bars and institutions. Sani-T-10's algicidal activity makes it a great solution for treating swimming pools and spas.